reclaiming the restoration: THE DOCTRINE OF INFALLIBILITY – the mother of all false traditions and doctrines! THE DOCTRINE OF INFALLIBILITY – the mother of all false traditions and doctrines! Pride has been called ”the universal sin, the great vice” and ”the great stumbling block to Zion.” Pride is, as it were, the mother of all sin! If we were to point our finger at one ’doctrine’ that might be called ’the mother of all false doctrines and traditions’, it might well be the following doctrine, in this instance expressed by M. Russel Ballard. A brief history of this 'doctrine'! This doctrine, called the ’infallibility doctrine’, wasn’t conceived by M. Russel Ballard, but rather by Wilford Woodruff. In 1890, the Church was loosing all of its material possessions (including the temples) as a consequence of the Edmunds-Tucker Act, passed in 1886. This act focused on restricting the Church's practice of polygamy, which was considered to be on of the twin relics of barbarism (the other being slavery). Among other things, the Act disincorporated the Church. The leaders of the Church, beginning with Brigham Young, had taught that polygamy was essential to both exaltation and the faith established by God through Joseph Smith, and anyone that taught against this would be damned. The aim of this was to get the practice of polygamy considered an essential part of the LDS religion and thereby protected by the First Amendment and the free exercise of religion. Despite its efforts, the Church was forced to either comply with the Federal requirement to stop the practice of polygamy, or to forfeit all its material possessions. Wilford Woodruff had, in 1869, taught that, “If we were to do away with polygamy ... then we must do away with prophets and Apostles, with revelation and the gifts and graces of the Gospel... and finally give up our religion altogether.... We just can't do that...." (Journal of Discourses, v. 13, p. 166) Since Wilford and his predecessors (except Joseph) had taught that polygamy could never be done away with, he had to give some kind of reassurance to the membership that all was still well in Zion, when he decided to discontinue the practice of polygamy. The practice of polygamy is oftentimes believed to have ended with the 1890 Manifesto. That's not true (but is a subject for some other day). Wilford Woodruff is believed to have written the Manifesto whereas Charles W. Penrose claimed to have written it. I don't know who wrote it, and it doesn't matter. The important matter is that, just like Charles W. Penrose is reported to have said, “The Manifesto was not a divine production but something manufactured to outwit the church's enemies” (Apostle Charles W. Penrose, as reported in Solemn Covenant, by Carmon Hardy, 1992). Wilford Woodruff taught this 'doctrine', defending and justifying a hoax! It's a false doctrine. Since 1890, many Church leaders have born powerful testimony that this 'doctrine' is true. 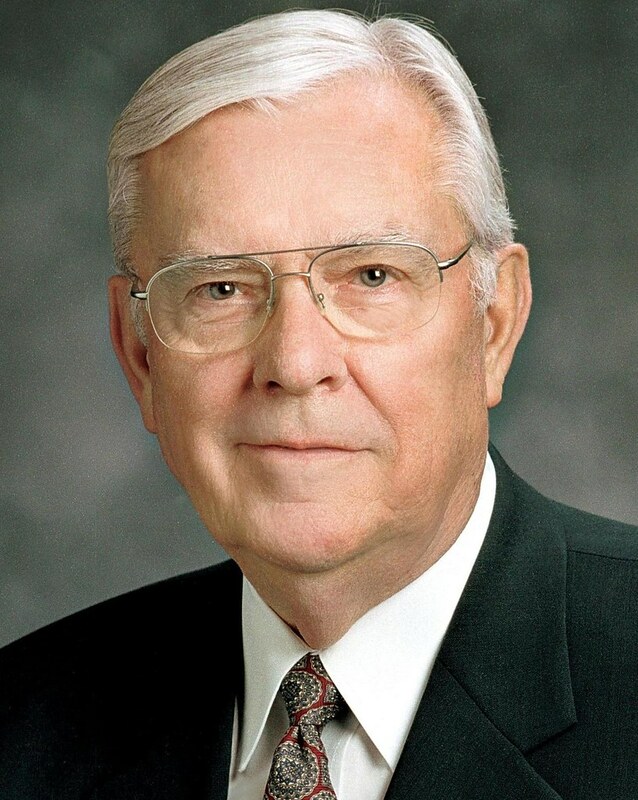 "The LDS Church will never be without a prophet and that prophet will never lead the church astray, a member of the church's First Presidency told a regional conference this week. Gordon B. Hinckley, first counselor in the First Presidency of The Church of Jesus Christ of Latter-day Saints, on Sunday responded to a paper presented at the Sunstone Symposium in Salt Lake City two weeks ago. In the paper, Mormon feminist housewife Janice Allred said statements by President Hinckley that God never would allow the church to be led astray do not have a scriptural basis. "She can present her paper until doomsday," President Hinckley said at a Tri-Stake Regional Conference at church-owned Ricks College, but God will see to it that the church will not be led astray. In her paper, Allred said, "The scriptures do not give any unconditional promises that the church will never fail, although there are some conditional ones. The condition of the promises is obedience to God, not obedience to leaders." People who have been taught to accept anything their leaders say without seeking spiritual confirmation are "easy to deceive," Allred said. The Church of Jesus Christ of Latter-day Saints is the only church whose members sing, "We Thank Thee, O God, For A Prophet," [and following] that prophet is the way to salvation, President Hinckley said. "Our peace, safety and salvation lie in following the prophet." Randall K. Bennett of the Seventy taught that, "[W]e have the Lord’s personal promise that the prophets will never lead us astray." These are but two examples. Rest assured, there are many, many, many more. It's important to remember, that it doesn't matter how many times a false doctrine is taught, it still remains false. As noted in the article from Deseret News, Janice Allred stated (in her paper, which is excellent, even though I don't agree with all she says) that there is no scriptural basis for teaching that God never would allow the church to be led astray. This is evident from the fact that, to support his supposition that we have the Lord's personal promise about not being led astray, Randall Bennett points us to the teachings of Harold B. Lee, Marion G. Romney and Wilford Woodruff. Either Randall Bennett didn't bother to search the scriptures, or he did but couldn't find any support there. Together with Janice Allred, I challenge anyone to find the scriptural reference for this personal promise. I propose that there isn't scriptural basis for this 'doctrine'. It's false, and it's dangerous. When you're done searching for scriptural support of the 'doctrine' of infallibility, you could start a search for scriptures teaching the opposite. If you need some help to get started, this is a phenomenal resource. One of my favorite verses that teaches that we can, or more correctly will be led astray by our "shepherds", is this one from Jeremiah 50. He prophesies about a future period of time when Zion has been redeemed and the people of God shall go there to join themselves to the Holy City. Janice Allred was later excommunicated from the Church (in Janice's own words here). "Following that prophet is the way to salvation. Our peace, safety and salvation lie in following the prophet." What makes this false doctrine so dangerous? Just like Janice Allred stated, people who accept this 'doctrine' are easy to deceive. This fact makes the infallibility doctrine the mother of all false traditions (and false doctrines). A people that surrenders their own responsibility to search out truth and accepts whatever comes from a man/group of men as the mind and will of God and the truth, is like a puppet show. They will accept, defend and promote teachings and policies that are in clear violation of the doctrine of Christ and the scriptures and they will thank God for a prophet while they do it! They will go to great length to justify the dictates from Salt Lake City, even if it means that they will have to come up with colorful explanations and twist and wrest the word of God. They make the word of God null and void. They will say and take comfort in the belief that the Lord will see us through, relying on the false doctrine that we can't be led astray. To them, the pronouncement that "all is well in Zion" is a source of comfort rather than a warning. To them, there's no chance in the world, that the leaders of the Church might be wrong. For me, it's hard to accept this reality. In my mind, we have ample evidence that the Church has been led astray by earlier leaders–if it happened then, why couldn't it happen now? False traditions (and doctrines) are accepted without thought, on the sole basis that they come from leaders of the Church! Satan doesn't have to put in the effort to get to each member. Instead, he can focus on getting hold of the leadership. If he can make them promote the idea that all is well in Zion, they will, together with their followers, be carefully led down to hell! (2 Ne. 28; read the whole chapters and please understand that it talks about us.) This is serious! Please consider this thoughtfully and prayerfully. Besides making us easy to deceive, this 'doctrine' is dangerous because it fosters faith and trust IN MAN!We are commanded to put our "trust in the LORD with all our heart and not lean on our own understanding" (Prov. 3:5). If all our heart is invested in God there is no place left for trust in anyone else. John Calvin asked rhetorically, "Is it faith to understand nothing, and merely submit your convictions implicitly to the Church?" If we are led to put our full trust in the Church and its leaders, how can we then trust in God? How can we grow in faith on His name? And how can we come to Him when we've put an organization and mortal men in between us? Jesus stands betwixt God and us (see Mosiah 15:9), and He keeps no servant at the gate (see 2 Ne. 9:41). Janice Allred states in her paper that, ”A church that believes it cannot go astray gives good evidence that it already has.” Sadly, I believe this is true. But, this doesn't mean that God cannot use the Church as one of many tools employed in His work and glory, nor does it mean that everything in the Church is false. Not even close. The Church is, in my opinion, a wonderful place to be. Still, what's worse than being lost? Not knowing that you are (lost, that is!). How can we, as an institution, get back on the right track if we choose pride over humility? If we can't even accept the slight possibility that we might have gone astray and that not all is well in Zion? If the Church, if we as members, can't humble ourselves and acknowledge our "sins", then how can we ever hope to redeem Zion? How can anyone who is oblivious or blind to their uncleanness hope to be counted among the pure in heart, which is Zion (Moses 7:18)? God desires that we all are prophets (Num. 11:29) and that we all know Him! How could that be possible if we, like the ancient Israel refuse to come to Him, and send Moses (or Thomas, or Russel or Dallin) to get to know God on our behalf? Some things can't be done by proxy. God wants us to know Him! Let's follow the admonition in the scriptures, and put our trust in Him, get rid of our false traditions and our belief in false doctrines! "The world is full of people who are willing to tell us, “Do as I say.” Surely we have no lack of advice givers on about every subject. But we have so few who are prepared to say, “Do as I do.” And, of course, only One in human history could rightfully and properly make that declaration. History provides many examples of good men and women, but even the best of mortals are flawed in some way or another. None could serve as a perfect model nor as an infallible pattern to follow, however well-intentioned they might be. What I find interesting is there is ample evidence already in our history that the PSRs have lead us astray aka the effort you are making to point out in this blog the many false precepts along with the false practices that have been set forth as necessary for our salvation but then after pressure from outside and inside have been rejected and later explained as mistakes or non-scriptural. This whole concept is a form of mind control using cognitive dissonance to make the victim/member believe one thing while doing another. Thanks for this post...can't wait for more.